The Canadian Association of Radiologists (CAR) began the Mammography Accreditation Program (MAP) over 20 years ago. 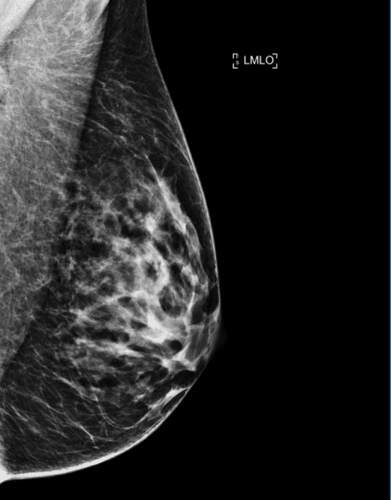 This program was developed to ensure the quality of mammography images in Canada. The primary objective of MAP is to safeguard patients by certifying that images meet the proscribe standards. Research demonstrates that high-quality images result in improved diagnosis and help radiologists from overlooking abnormalities such as tumours. The CAR MAP working group is lead by Dr. Nancy Wadden. The program focuses on the accreditation of mammography units in hospitals, clinics and academic health centres. The program ensures that units are operating as intended through detailed quality control. MAP has grown substantially over the years. Today there are 520 facilities with a total of 664 units that adhere to MAP standards and benefit from accreditation through the CAR. MAP is an independent program with unbiased governance. The leadership of our radiologists through the CAR has been paramount in ensuring front line physicians have access to high-quality images and patients are receiving the best care. The MAP team ensures the right people are conducting examinations and rendering optimal interpretations. This is accomplished by the necessity of ongoing professional development as well as compliance with the latest evidence-based standards. Through systematic image assessments by qualified reviewers, MAP ensures that the quality of images is optimal and the radiation dosage is appropriate for patients. MAP is renown as an innovative leading practice by Accreditation Canada and commits to quality and putting patients first. The CAR has been entrusted with this important work through self-regulation. We’re privileged to have earned this important role and CAR members can feel a sense of pride for the confidence instilled in the radiology profession.Through various processes and requirements MAP continues to make sure they’re in line with international breast imaging standards and that the criteria reflect the latest research. There have been changes to the program in 2019 and we plan to continue to work towards ensuring that we meet the highest quality standards for Canadians. To learn more about MAP click here.